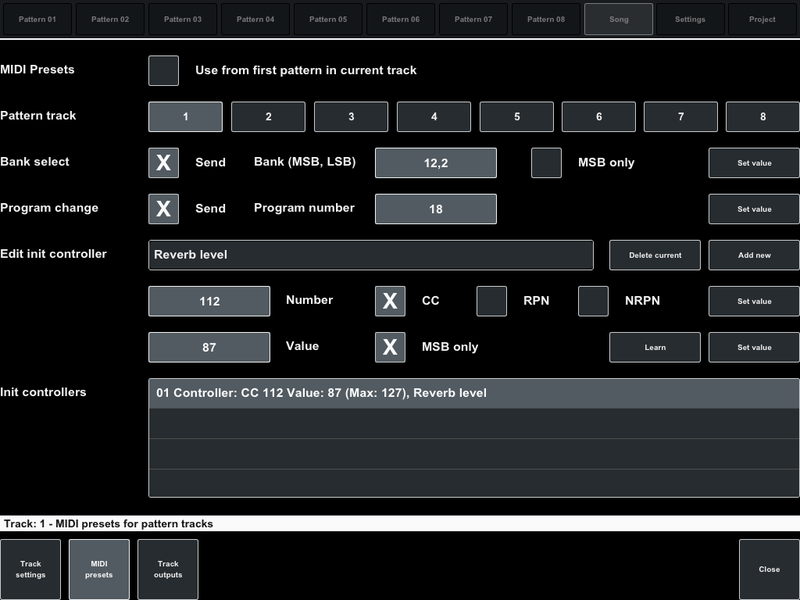 First two parameters allows to send the initial Bank and Program values for MIDI channel that specified for current track (see "Track settings"). The value will be sent when the corresponding checkbox is on. For some old device required only MSB value for Bank change message. Set this checkbox if it need. To change parameter value click button "Set value" next to parameter. For more information about Banks and Programs see manual or settings of external music applications or devices. Hint: At changing values these parameters will be sent to output channel when you close "Set value" panel. 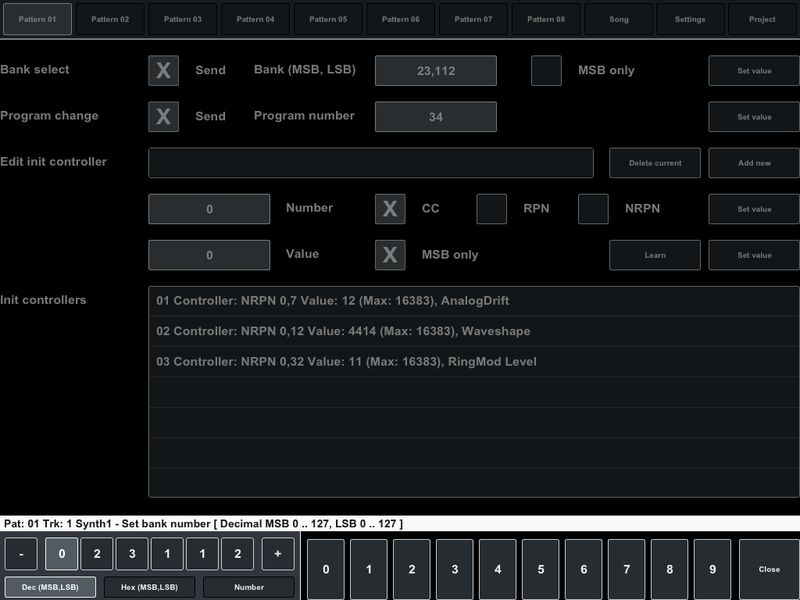 This works only when enabled sending presets at start playback/recording. 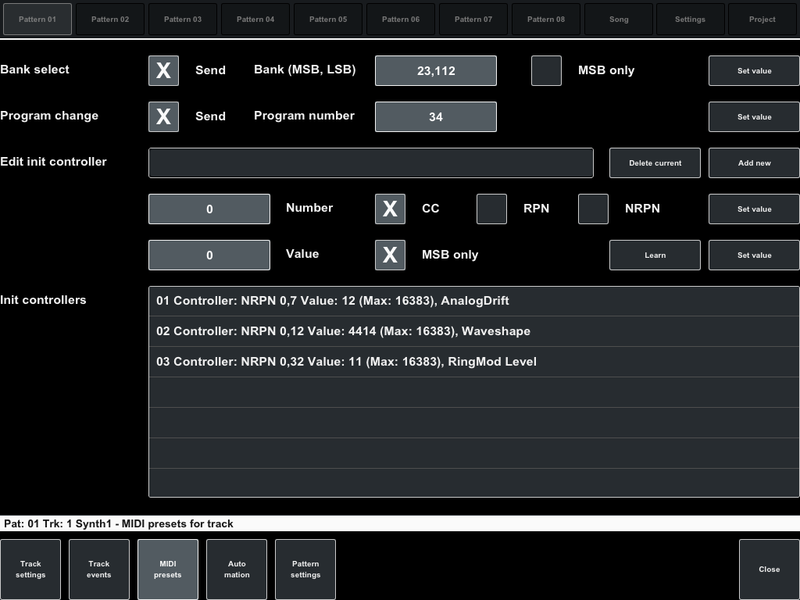 The following items are intended to add or modify the list of controllers that are also part of the presets. First field it's short memo for controller. It's not required but convenient to identify the controller. Set the value and new controller will be added to list. If you select controller in the list you can change its values or delete it click button "Delete current". Click "Add new" button to add new controller to the list. New controller will be selected in list. Or select the list item and change controller values or delete controller by click "Delete current". 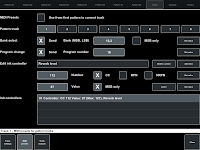 To set controller type and values from external device click button "Learn" and use (turn, move or switch it) external device controller to send messages to sequencer. In the "Learn input controller" panel should display external controller parameters. 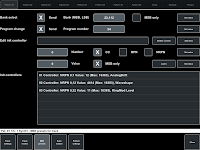 Click "Set" to apply controller values. "Close" button will close panel without changing. 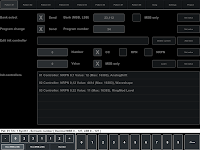 Presets for song can be specified for each pattern track that included in song track. By default for song track will used presets that specified in first pattern placed in song track.